A grey, drizzly day in “sunny Sussex” welcomed Chelsea to the Amex stadium where a Hazard masterclass extended their unbeaten run to 12 games & gave Conte hope that the media will finally STFU. & as the cherry on the cake, Hazard Hazard made one young fan’s day after he’d been holding a home made sign up all match. While Sanchez went on a road trip oop North, the Gunners took just 22 minutes to destroy a hapless Palace team, ending their good run under Hodgson. Manc Untidy popped over to Turf Moor for clash of the Mourinhos. The real one & the ginger one. After a dismal 1st half, it was Martial who eventually broke the deadlock in the 54th minute & with that in the bag, the bus rolled into position as Untidy hung on for all 3 points. Everton sub took 56 seconds to rescue a point for the toffees after coming on for McCarthy who suffered a double leg break while blocking a shot. But that performance was enough to prompt the city’s mayor to have a good old rant on a radio phone in show after the game. Watford’s poor form continued as Leicester won by 2 unanswered goals which resulted in Silva being sacked & the Hornets’ board blaming Everton. That makes it 9 managers in 6 years & the stadium staff have had to replace the name plate on the door with one that reads “Occupant”. With a new manager at the Betannia stadium, Stoke hauled themselves out of the bottom 3 with a 2-0 win over Huddersfield. Wet Spam recovered a draw 2 minutes after Bournemouth had taken a second half lead while, at the Etihad, Citeh bounced back from the defeat at Liverpool with Aguero netting all 3. However, if he’d had a haircut that morning, the first goal would have been De Brain’s. Sunday’s only game pitted Spurs against Southampton & with Eriksen out due to a lurgy the North Londoners looked devoid of ideas to a large extent. After Sanchez’ (no not that Sanchez) own goal put the Saints ahead it was none other than Harry Kane that repaired the damage with his 99th premier league goal. The visitors, however, couldn’t convert any more chances & only had 2 shots on target in the game. With Liverpool on an 18 match unbeaten run, most people expected a cricket score against bottom club Swansea. The Swans, however, had other ideas & did their level best to crowd out the visitors to great effect. But, on his league debut, the most expensive defender in the galaxy, van Dijk effectively set up the home team’s match winner sparking celebrations so wild that Fernandez busted his nose. “But what of the FPL?” I hear you cry. Make sure you’re sitting down for this, but the GW was won by the EIB . Yes. It’s true. 621 points handed them a 33 point win over the IGM & BB&S who were both level on 588 points each. Still some way to go to catch the leaders, BB&S who top the table on 13666 points. You know what’s coming next right? Yep, Nikolas Vitus Lagartija’s Damage Dunfermline not letting go of that Yellow Jersey any time soon. The week’s Big Shout Out for 78 points went to Mish Mosh. Dead Men Walking have decided the crown suits them as they keep it for a second week but it’s still tight at the top of the table. 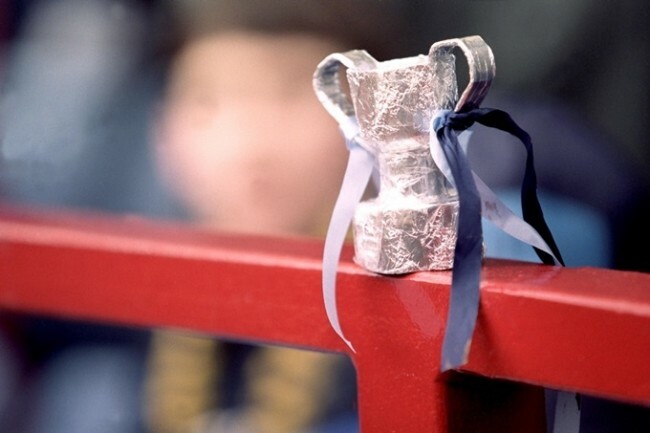 The weekend in the shed was largely dedicated to making the traditional tin foil FA cups so we could cheer on our teams….except for me…..& @mort. Our cups went in the bin a couple of weeks ago. We’re also anxiously waiting for the transfer window to close in between googling the names of some of the players that have already arrived, as we haven’t got a clue who they are. So while Chelski stay hot on the heels of signing Peter Crouch (or someone equally tall) let’s get this road on the show. first off, a very happy new year to our big-haired lipstick be-smeared brothers and sisters here in Orange county. please please please lets one of us 2 win this year and stop the mish-taken from crowing again. thats all. Not surprised really. He wants game time & even a shot at the world cup. But is Sturridge really off to Wet Broom? oh, and yes. on loan. Chelsea have signed Giroud by all accounts, so Arsenal will get Aubameyang & Batshuayi will be shipped off to Dortmund. Right. Starting to look a lot better than the weather was for them. But Firmino's goal was so Brazil wasn't it? All good... Except I haven't got him!